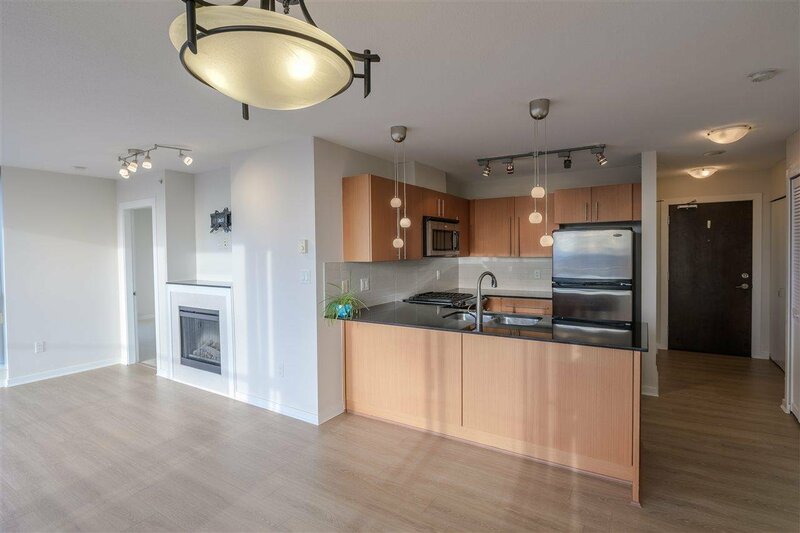 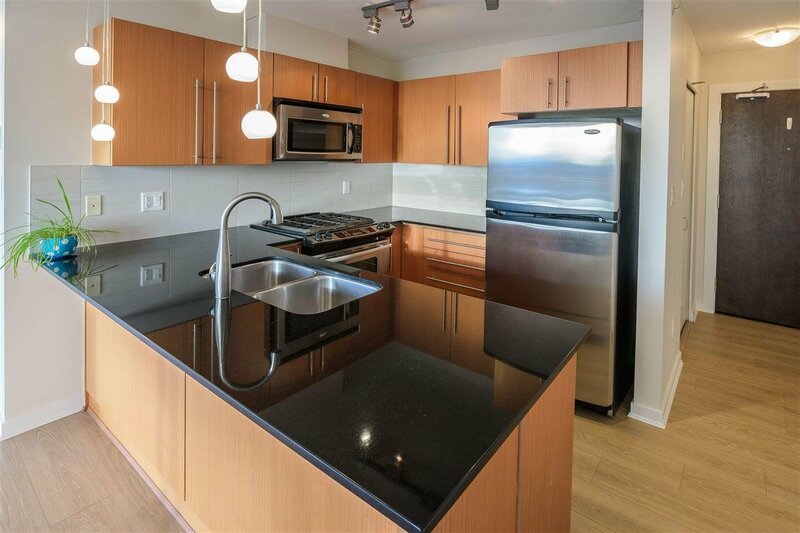 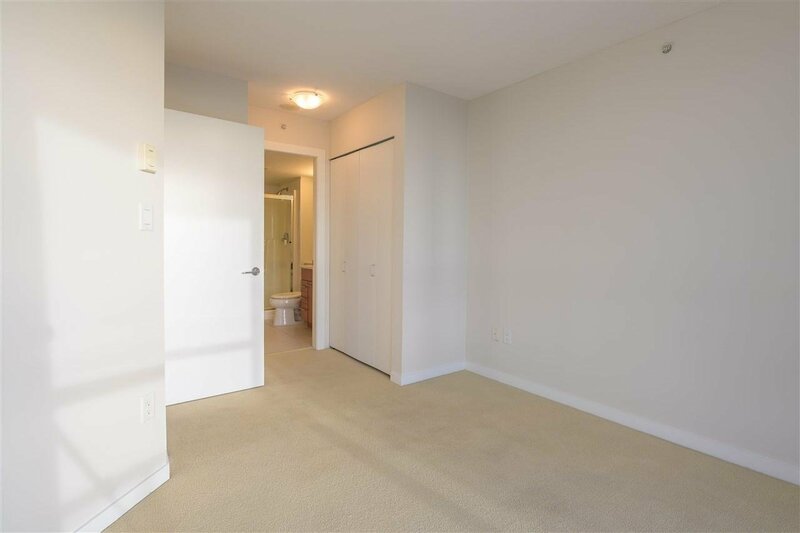 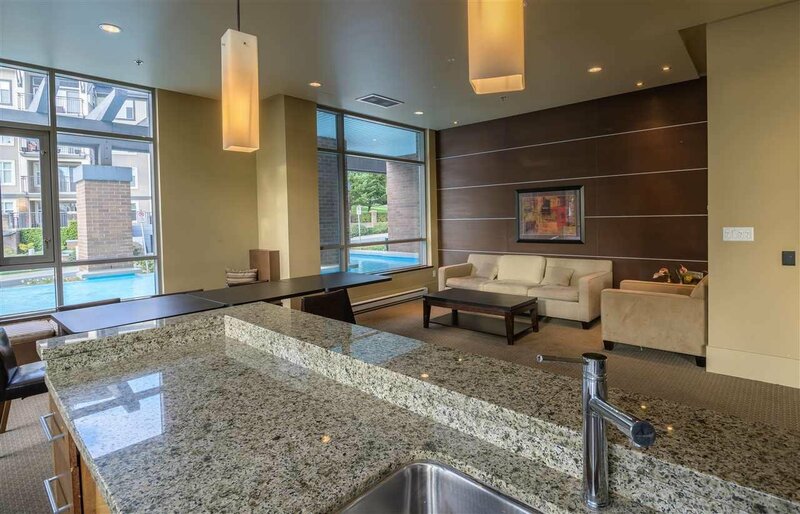 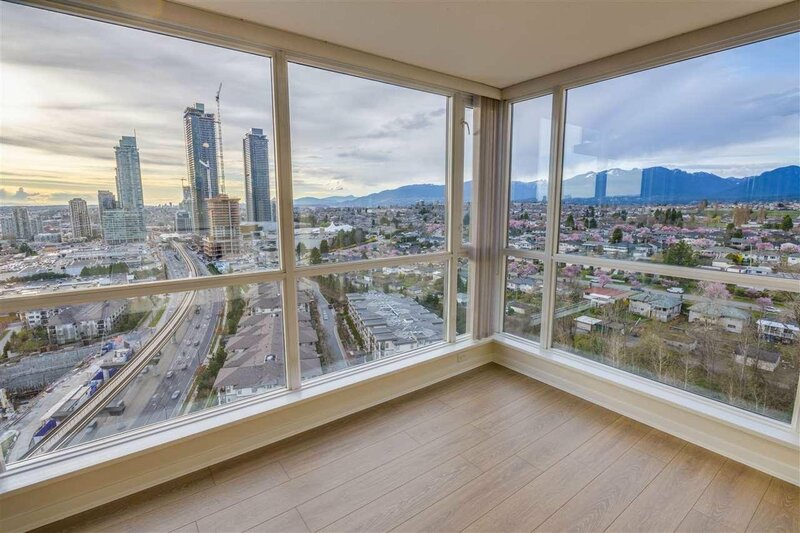 Beautiful corner unit in "The Fitzgerald" highrise at Brentwood Gardens. 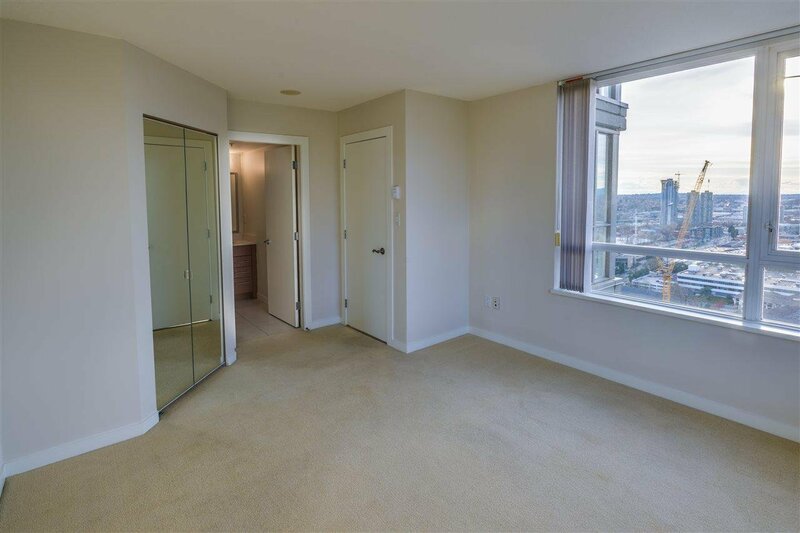 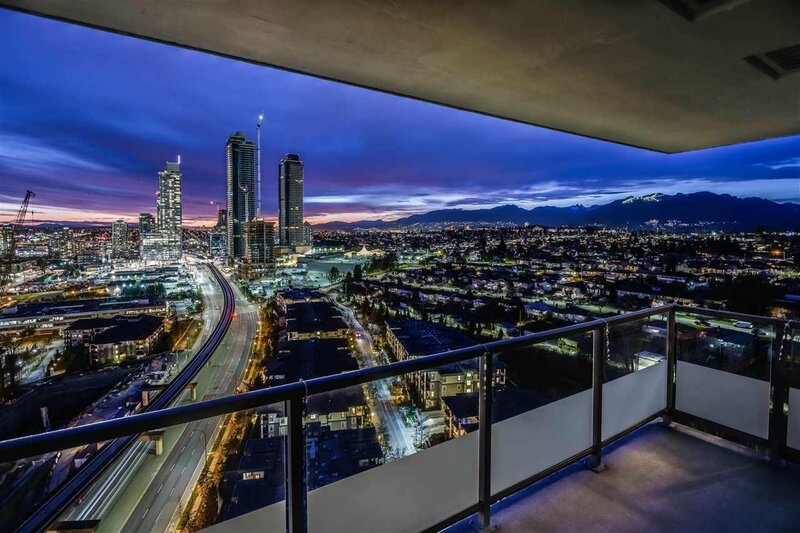 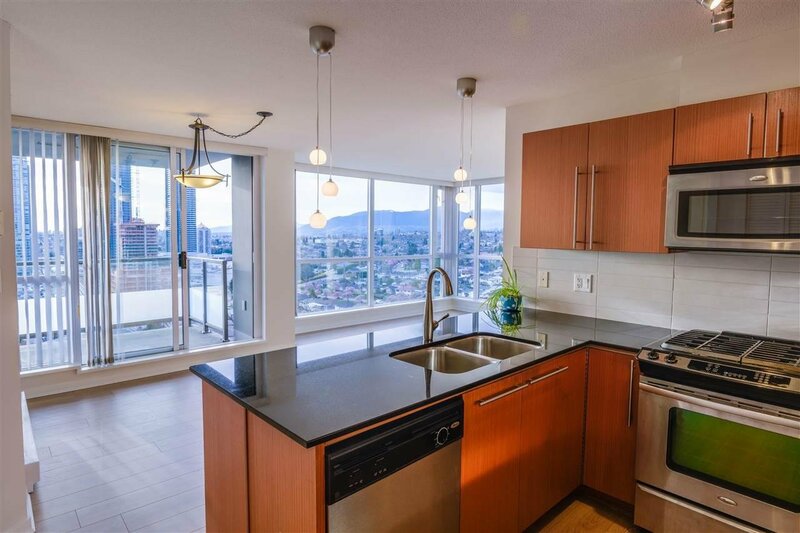 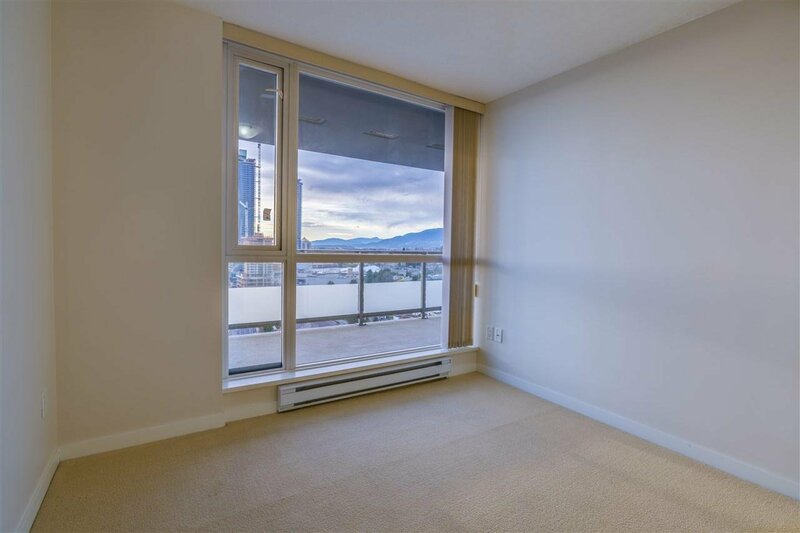 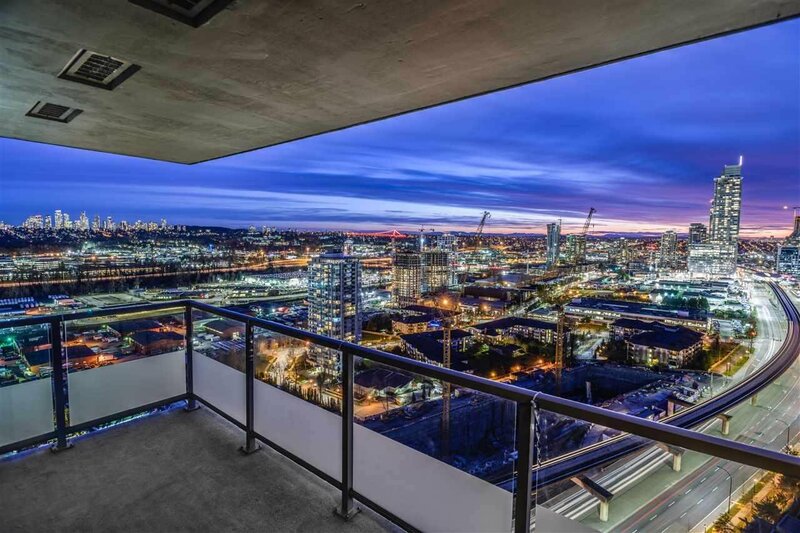 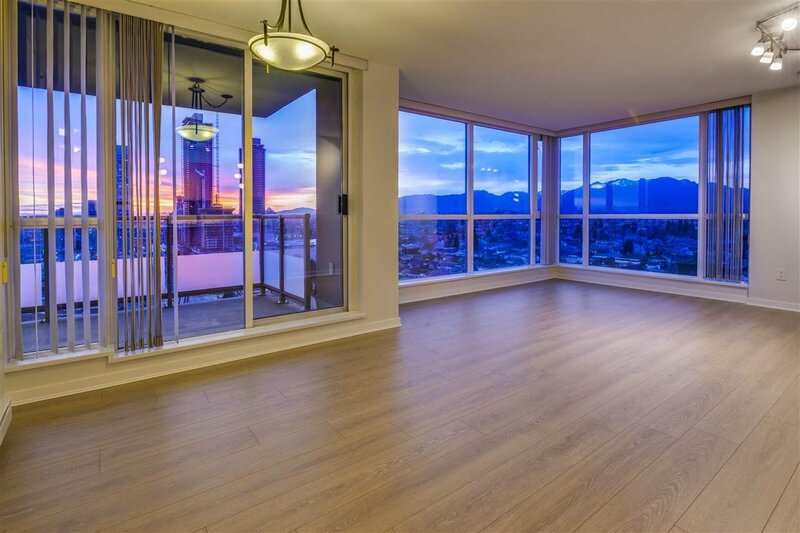 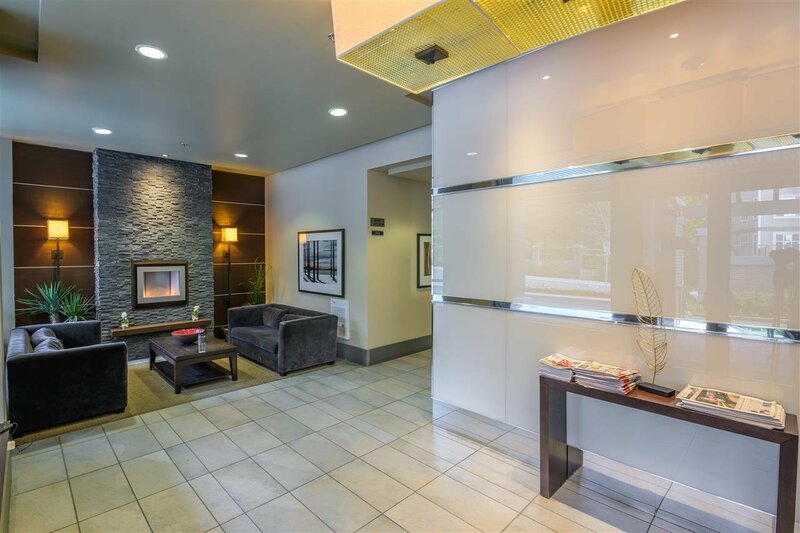 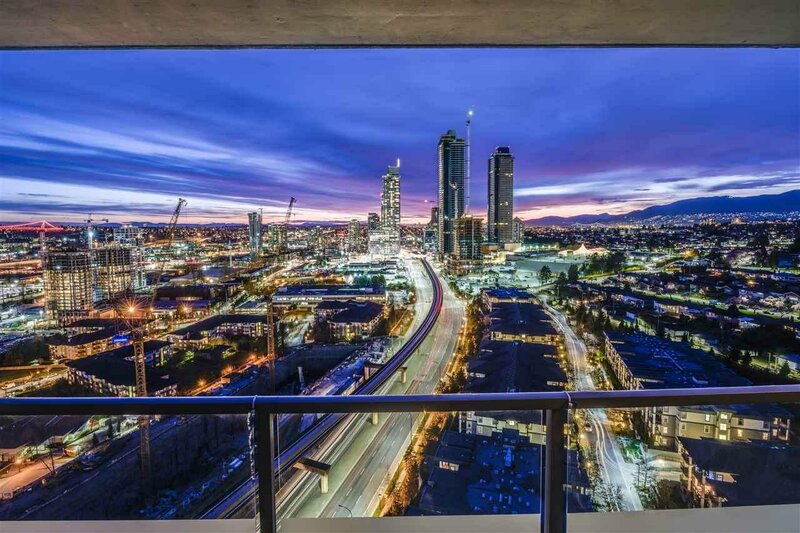 Located high in the sky with NorthWest expsoures it offers panoramic views of Downtown Vancouver & North Shore Mountains. 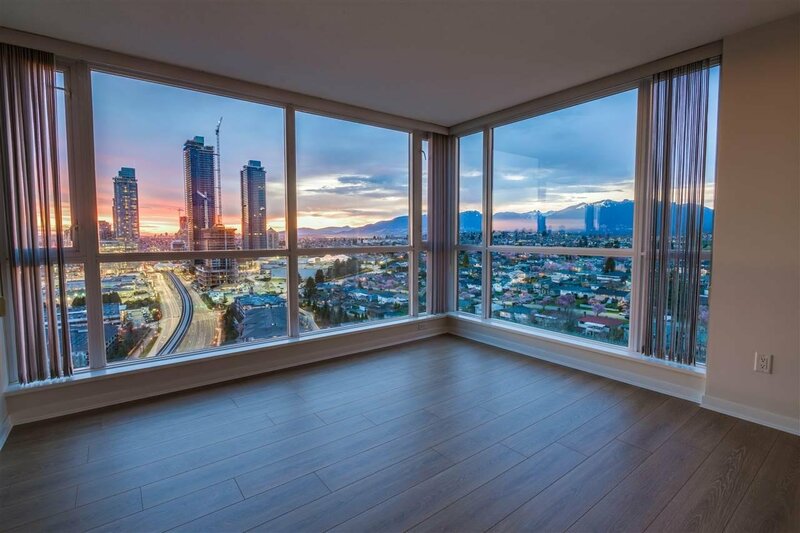 This open concept 2 bedroom, 2 bathroom has breathtaking views from every window, truly amazing. 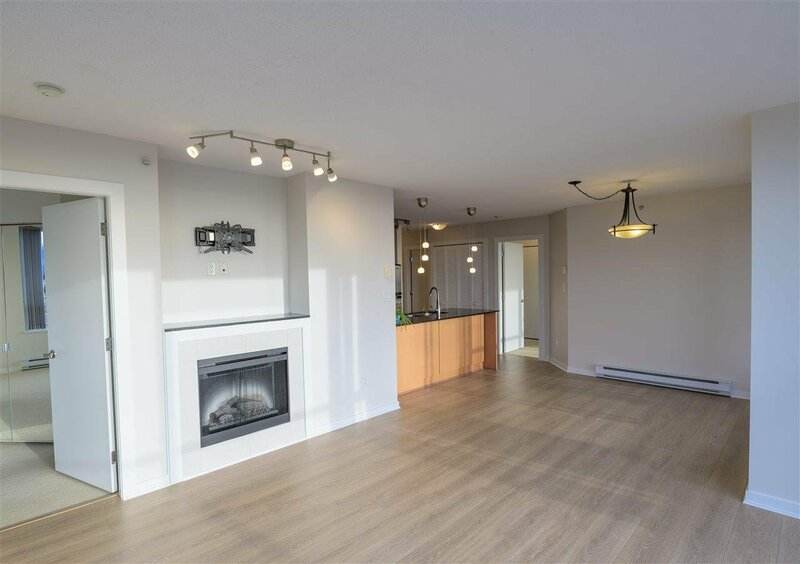 Featuring an open kitchen with SS appliances and GAS stove, new wood floors, fireplace, walk-in closets, 2 PARKING spaces and 1 storage locker. 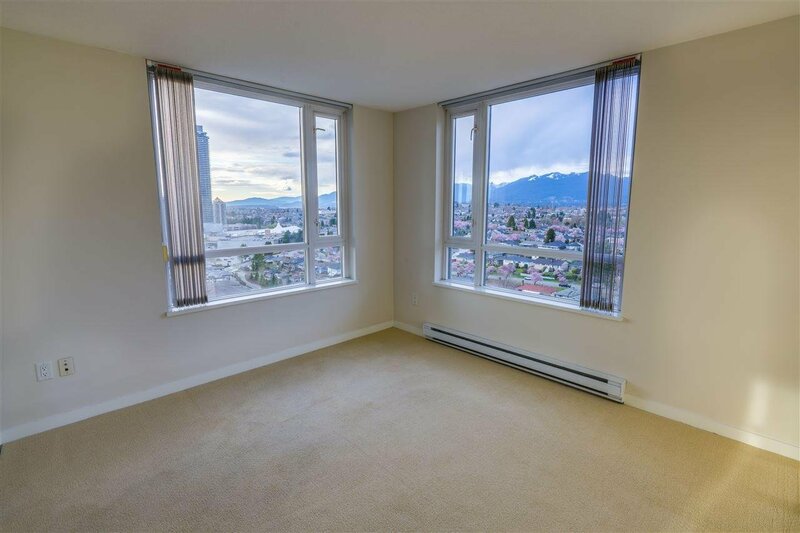 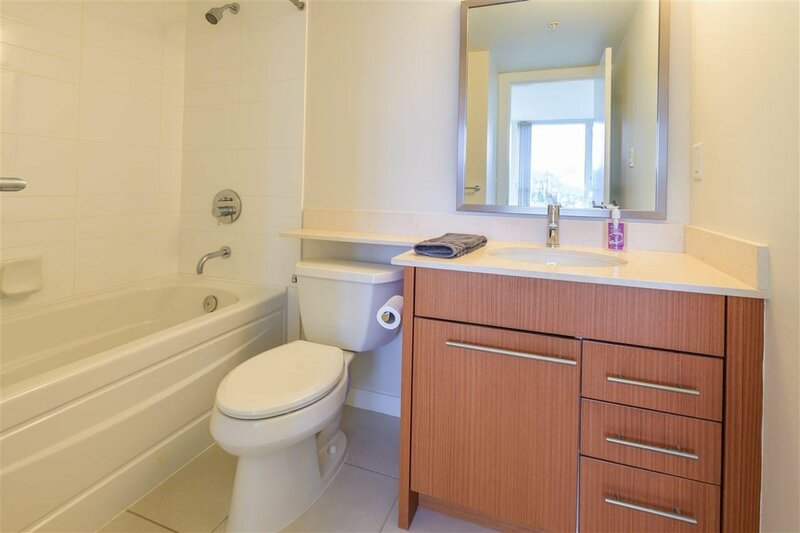 Superb building with great amenities offers gas and hot water in the maintenace fees. 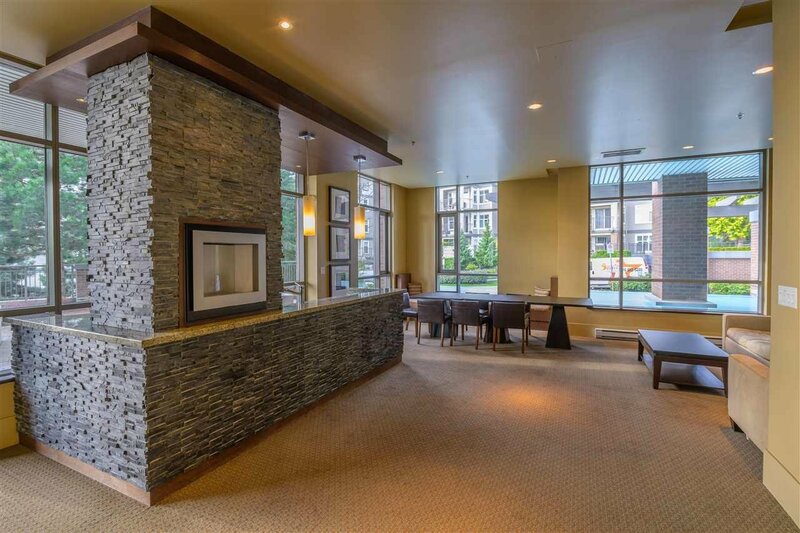 RENTALS are allowed and so are PETS. 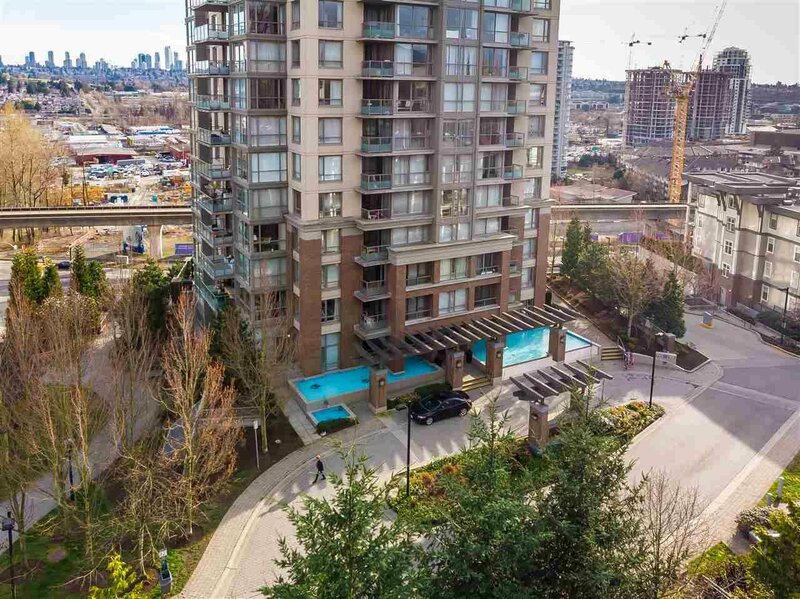 Just steps to Brentwood Mall and Skytrain. 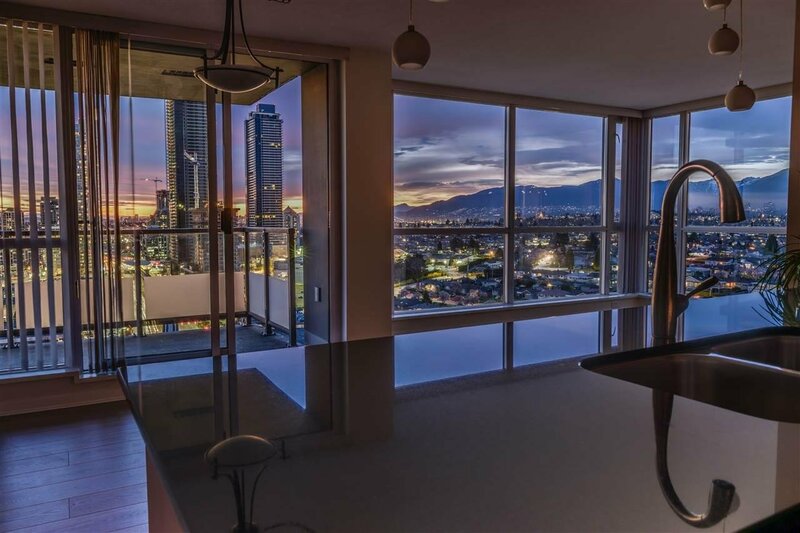 Scheduling private showings now.